The latest release of Service Desk is here, and it’s raised the bar for Real Time Business Analytics. 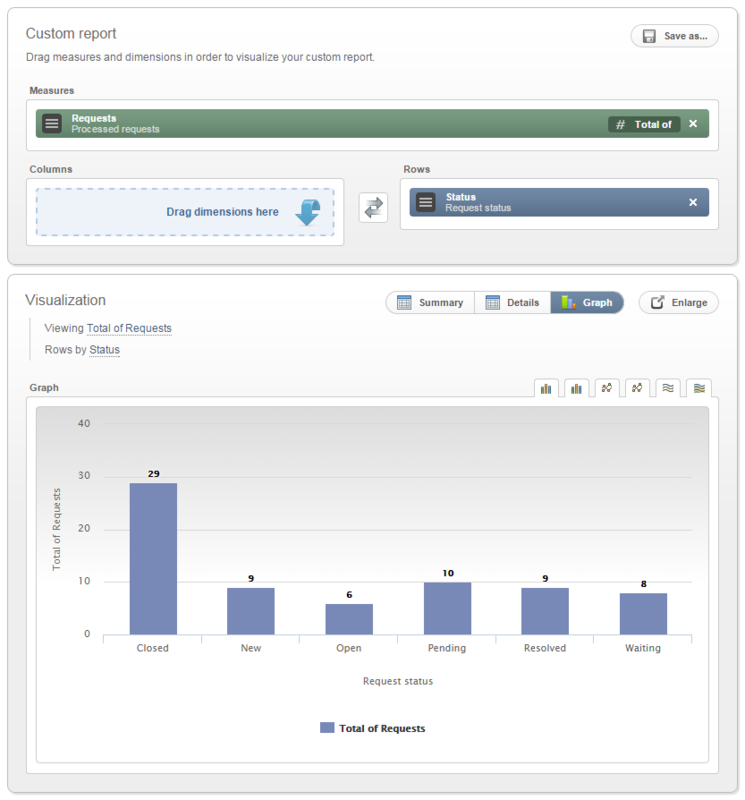 We are pleased to notify you of our next major product release, Service Desk v5.2. This new version comes jam packed with new features and improvements, but the ‘big one’ is a complete revamp of our dashboards to provide all (and we mean ALL) of the critical KPIs and metrics your organisation needs in real time! Our Analytics engine has always the foundation of Service Desk’s Business Intelligence capability, allowing users to navigate datasets and gain new insights into service management, but we realised this technology could also be leveraged to directly assist front-line support staff on a day-to-day basis. By making key metrics and KPIs accessible with smart interactive design and the right level of granularity, our goal was to help teams to make informed and timely decisions each day, be it by monitoring their backlog, tracking the status of special project or the improvement in particular area of focus. So what is included in this new version? A comprehensive upgrade of our existing dashboard view, allowing users to create multiple custom dashboards incorporating a wide variety of graphs and charts, all powered by the full depth of the Analytics Reporting engine. This is more than 100 measures and dimensions all available in real time via a rapid refresh of our Analytics OLAP Cube. As with all of our features, we’ve re-imagined the traditional execution of dashboards and created a new style that not only presents the information you need, but allows the user to directly interact with data too. Our Drill Down and Drill Through functionality permits the live segmentation and analysis of information, as well the ability to review the related tickets without leaving the dashboard screen. Our Business Analytics Engine has been expanded to now include both open and closed tickets, allowing analysis of Requests, Time Lapses and Wait Intervals on every ticket in the system. That is more than 200 metrics and dimensions providing incredibly powerful Business Intelligence for improving your service levels. Look out for a new Dimension called “Status”, that allows segmentation of requests based on their current state. This new compound metric represents the current workload (or backlog) of active tickets, and is a powerful tool to measure if support teams are keeping up with demand on a daily basis, and over the long term. This new metric is available through Custom Dashboards and incorporates a variety of filters and dimensions to pinpoint the date range, request type or support team of interest. The Analytics OLAP Cube has been optimized to improve performance and can now be refreshed on demand, with updated results available in less than 5 seconds for most use cases. This adds additional flexibility and helps bring Analytics capability back online faster after a system restore or modification to the database. Users can now be added to the Service Desk through the importation of a CSV file, allowing greater flexibility for initial implementations and improving your ability to utilize sources other than LDAP to manage the user base. Simply download the template file, add the data you need and upload the file again, easy as 1-2-3. Service Desk v5.3 is already in the works and packing some great upgrades for international teams to help them work more efficiently around the clock. Try Service Desk for yourself today and see all of these great features in action!